Neu! 2 is one of those rare albums that challenges the very notion of music itself. It scrutinizes the concept of the album, the relationship between the artist and the listener, the producer and the consumer, as well as making the very notion of originality extremely dubious. 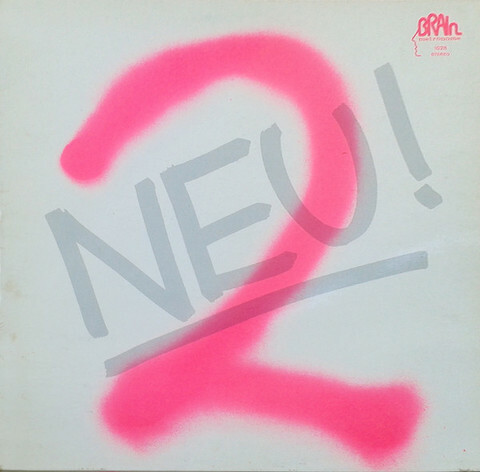 In Krautrock/art-rock circles, the story of Neu! 2 is pretty well known. Neu! was formed in 1973 in Düsseldorf, Germany. Multi-instrumentalists Michael Rother (bass, guitar, keyboards) and Klaus Dinger (guitar, drums, keyboards, vocals) left an early formation of what was to become the most famous Krautrock band, Kraftwerk, dissatisfied with the band's movement toward an entirely electronic sound (for the best example, listen to their classic "Autobahn"). Rother and Dinger wanted to pursue a more minimalist guitar experiment. Hence, Neu! was born.